Peter Crosby Landscapes now provides a proffessional private gritting services for commerciall premises in the North West, Midlands & Yorkshire. 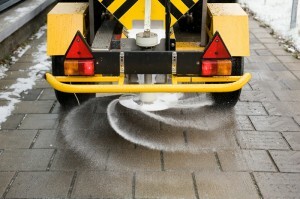 Our services include car park gritting, pathway gritting and snow removal. Throughout winter we provide 24hour coverage and a 7 day a week. Our gritting services programmes are tailor made to suit your business premises. We utilise specially designed gritt spreading equipment. If you would like to discuss any aspect of your gritting requirements then please do not hesitate to call us on 0151 423 5050.